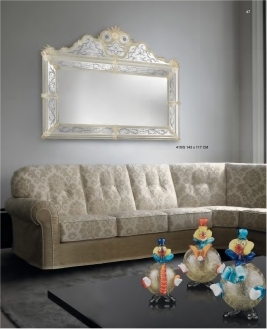 Livio Seguso is a true son of Murano who was greatly interested in his glass making heritage which kept the whole world in awe for ages from the very years of his life. 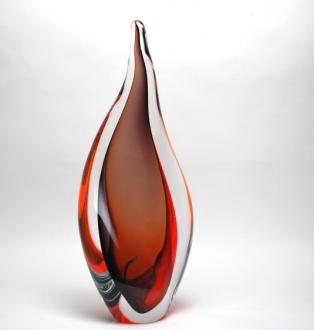 He was born in 1930 as the son of a glass maker and conquered the art from a very tender age. After acquiring a near perfect skill in the art from his father, he started his experiments in this very-difficult-to-tame medium. 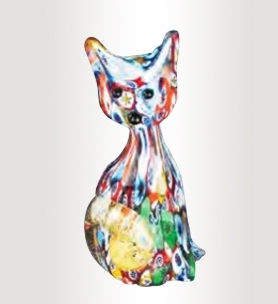 Livio Seguso’s experiments led him to create fabulous works of art and his work proceeded to explore other realms of the art other than the Murano tradition. Many works of the modern sculptors like Henry Moor and Arturo Martini captured his fascination which prompted him to experiment with the contemporary designs. In short, Livio Seguso has attained a signature style of his own in the art. However, by the early 80s he decided to leave his traditional medium to another equally fabulous medium of crystal. The transparency and brilliance of the medium was transformed into great artistic marvels by the veteran artist. Livio Seguso’s innovative skills did not stop with this. He began to experiment with combo-sculpturing. He created several unconventional combinations using white marble, black Belgian marble, granite, steel and even wood with the radiant crystal. The sculptures are great examples of the harmonious blending of unlikely media to produce hitherto unseen artistic wonders. This gained him worldwide fame. He was the master of elliptical and round shapes during the beginning stage of his career. Later he was inspired by many of the modern artists and started to experiment with geomantic shapes. This he did with wonderful symmetry and dexterity. At the very ripe age of 88 Livio Seguso is still involved in artistic work. His working station is still Murano even if, he has evolved greatly from the age old art. Height: 117 cm" Length: 143 cm"